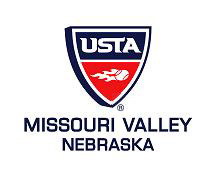 The Missouri Valley, Nebraska Girls Endorsement Tournament is scheduled for February 3-5, 2012 at the Fremont YMCA in Fremont, NE for the girls’ 14, 16, and 18 divisions. Due to the girls’ high school season beginning in late February, the Segment II Endorsement tournaments for these girls’ age divisions will be held in early February. The format is a full feed-in to the quarter finals. One endorsement spot to the Missouri Valley Supers of Segment II will be awarded to the top finisher. The entry fee is $40.00. Entries close Monday, January 30, 2012 at 11:59 p.m. The YMCA is at 810 N. Lincoln Ave., Fremont, NE 68025. For more information, or to register online, go to Tennislink – Girls Endorsement, or contact tournament director, Mike Willman, at mikewllmn@aol.com or by phone (H) 402-727-9048, (C) 402-547-9613. The Boys 14, 16, and 18 Divisions, and the Boys and Girls 10, 12 Divisions Segment Two will be held May 11-13 in Omaha. Watch for more information and registration information on these coming later.